Best Carbon Steel Pan of 2019 | Top 5 pans tried, tested and rated! Looking for a new carbon steel pan? Great choice! Carbon steel is extremely hard-wearing, withstands scorching heat and is naturally non-stick (and safely so). It’s a great material for scorching hot cooking on all types of cooktops, and in the oven too. It’s light, durable and rather affordable for the hard-wearing quality you receive. We’ve rounded up the best carbon steel pans available. Read on to find 5 fantastic carbon steel pans, all of which are French-made and French-cooking inspired (always promising!). 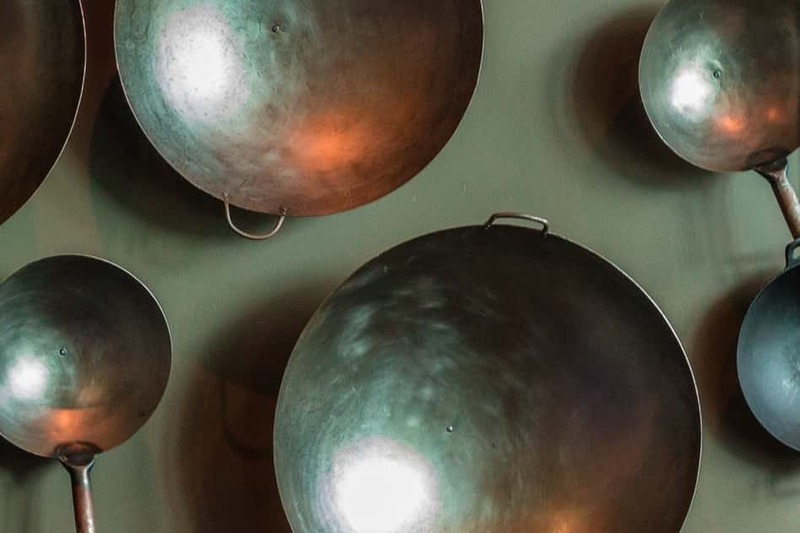 Let’s explore the five best carbon steel pans, then take a closer look at carbon steel and why it’s so great for cookware. See also, our Best Carbon Steel Wok review. 11 What is carbon steel? 12 Why is carbon steel so great for cookware? This carbon steel fry pan by De Buyer is incredibly slick in both appearance and performance. It is made from 99% iron (i.e. carbon steel) with a beeswax coating. The beeswax coating isn’t permanent, in fact, it must be removed before the pan is used for the first time. The purpose of the beeswax is to keep the carbon steel surface of the pan from oxidizing during shipping and storage. It’s also said to be helpful in the ever-so-crucial seasoning process. What we love most about this particular pan is the shape and design. The shape is called “La Lyonnaise” which means it has slanting sides and an angular handle. The slanting sides allow you to swiftly and neatly slip your food from pan to plate. It’s also great if you like to toss your food as you saute, as the food can launch itself off the sides easily. The lightweight quality also makes cooking easy too, as you can move swiftly and comfortably. On the opposite side of the main handle, there is a smaller handle. This is very handy for secure, no-spill carrying. If you’re transferring the pan from stove to oven, you can get a safe grip…especially helpful when carrying liquid-heavy dishes. The 12.5-inch diameter and decent depth make this a versatile pan for cooking generous portions. You could definitely sear a few big steaks or brown a decent batch of diced lamb. The price of this pan may seem steep at first glance, but if you consider cost per use…it’s pretty great. This pan will last for a very long time, especially if you season it regularly and stick to dryer dishes (i.e. don’t make sauces or very wet dishes unless it’s for a quick deglazing). Because there is no added coating, there’s no risk of scratching or damaging the surface, so you can throw it onto a high heat and use your metal utensils without worry. And yup, it’s oven-safe too. It’s not dishwasher-safe, as most carbon steel pans aren’t, but clean-up is pretty simple. And remember, the more you use it, the more non-stick it gets. It’s not a delicate pan whatsoever, so you’ll be enjoying it for decades to come. Another little number from De Buyer. This pan is smaller than the one above, at 11 inches. It has similar features such as beeswax coating, slanted sides and a long, offset handle. It’s got that professional kitchen/experienced chef look about it with a simple, sleek design. Because of the super hardy carbon steel creation, you can pop this pan over a searing heat then place it into the oven to finish the dish. And don’t worry about getting the silicone utensils out, as you can use your metal utensils without fear of scratching. One of the coolest things about non-coated carbon steel pans is that there’s really nothing to scratch. If you do happen to scratch the surface, it will be easily solved the next time you season, and the more often you cook with it the more durable it will get. The smaller size of this pan is handy for dishes such as a couple of small steaks or a filet of fish. The actual cooking surface is 8 inches, with the slanted sides making up the rest of the 11-inch total diameter. The video below is handy if you want a closer look at the manufacturing process of De Buyer Mineral B pans, and a close-up look at the pans’ performance as they cook steak and eggs. This would be a great pan to purchase along with a larger pan to accompany it. It’s a great size for searing and grilling smaller portions of meat or a portion of fried potatoes. The long, offset handle is great for having sturdy control over the pan when tossing or transporting from stove to oven. The more you use it, the better it will get. Ideal for people who like to cook meats and fish over high heat and don’t want to fuss with anything but metal utensils. Another French-made beauty from De Buyer, this pan takes on a whole new shape. This pan is rather deep with curved, flared sides (as opposed to slanted), and two handles. It follows De Buyer’s aesthetic trend of minimal, professional and sleek. Like the other Mineral B pans, this trusty pan has been coated with beeswax to make sure it arrives to you in perfect condition without oxidizing. You just have to make sure to remove the beeswax coating before the first time you use the pan. What we love best about this pan is the size and shape. The high, curved sides allow you to toss and stir your food without spillage or oil spitting all over your stove. It’s great for stir fries, fried potatoes and dry curries. Of course, this pan is oven-safe too, which increases the versatility and user-friendliness. The two handles are a small yet mighty feature as they give you lots of control as you cook, transport and store. This is a great option for you if you have an induction cooktop, you like to make “toss-friendly” foods such as stir fries, and you need something sturdy, to last a long time. This is a fantastic carbon steel pan if you’re looking for something halfway between a wok and a frying pan. It’s deep, easy to carry and transport, and has that carbon steel durability. You’ll build up a lovely non-stick coating the more you use the pan, with regular seasoning and nothing but a simple rinse and dry. It’s pretty expensive at first look, but once you consider the fact that it will last you forever (with proper maintenance), it’s really nothing in the scheme of things. Now this is a unique pan. Another gem from De Buyer, this pan is made especially for searing steaks. The first thing you’ll notice is the latticed rivets carved into the inner surface of the pan. This is designed to increase the non-stick performance of the pan, as well as leaving an attractive cross-hatched design on your steak. It’s a reasonably shallow pan, which is what you need for quickly searing a steak over very high heat. A shallow pan makes for easy flipping and it also makes for a better crust on the steak. This is because a shallow pan releases more moisture and keeps the meat from braising rather than searing. You don’t have to save this pan especially for steaks, it’s great for a range of cooking tasks. You could pan fry chicken breasts on the stove or roast a pan of veggies in the oven. 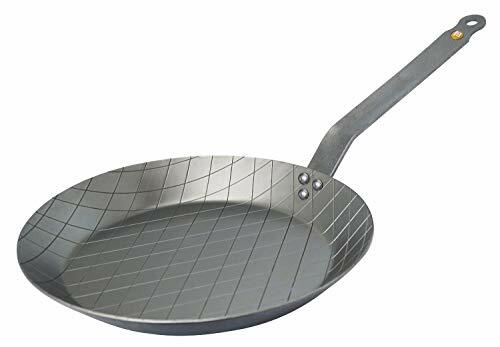 The natural non-stick nature of the carbon steel makes this a great pan for cooking meats and veggies with little oil or fat. Like all De Buyer carbon steel cookware (or any carbon steel cookware, in fact), it’s not suitable for the dishwasher. You simply have to give it a rinse, dry it and rub with a light layer of oil before storing. The long, offset handle is definitely a plus, as it just makes the practical aspects of cooking easier and more controllable. You can get a good grip on the handle (with a mitt or it gets too hot!) and either toss, hold steady while you flip, or quickly dash to the oven. This is an ideal pan for home cooks who love to sear steaks on a hot stove with a healthy crust and a non-stick performance. It’s a great accompaniment to any cookware set. You can pull it out to use when you need to cook quickly, over high heat on the stove and in the oven. It has the De Buyer Mineral B signature beeswax coating to protect it until it reaches you. Like all carbon steel pans, this one will only get better as time goes by as you heat, season and repeat the process. This is a stunning frying pan, it must be said. It differs from the De Buyer pans above in the sense that the handle is straight (horizontal) as opposed to angled upward. It is described as being made from black steel, which is pretty much the same as carbon steel apart from the name. It is relatively shallow, with slanted sides. This makes it great for sauteing because you can easily toss and flip foods with leverage from the sides. This is a very versatile pan in the sense that it’s oven safe and compatible with all cooktops. It would be great for all types of cooking, from searing steaks to roasting veggies in the oven. It will eventually take on that rustic, black surface we love about carbon steel cookware. If you wash it gently (by hand) and keep the seasoning process up, you’ll find the surface becomes more and more non-stick as time moves on. Below is a short video that demonstrates the look and non-stick performance of Matfer carbon steel pans in up-close detail. 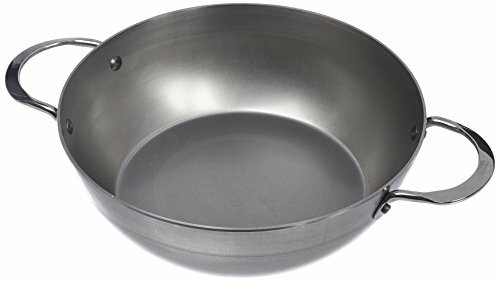 Diameter 11 7/8", Height 2 1/8"
This pan has a pretty decent price tag considering the quality, durability and versatility. We would recommend this to anyone in need of a non-stick frying pan which can be used with metal utensils. If you have an induction cooktop, even better. This pan requires the usual maintenance expected from carbon steel/black steel pans. It needs to be cleaned by hand, (without the use of harsh detergents) before drying, seasoning and storing. Carbon steel is made from iron and carbon, and the carbon content differs between steels, but it’s generally around 1% for cookware. It’s different from stainless steel in the sense that it does not contain chromium, and stainless steel does. Carbon steel takes on a black color the more it is used, which is a good thing. The black coating means that the pan’s surface is becoming more and more non-stick. In order for carbon steel to stay non-stick and resist rusting, it needs to be seasoned with oil regularly. Carbon steel pans should never be cleaned in the dishwasher. They just need a simple rinse, scrub and dry before rubbing with oil and storing. See also our Cookware Buyers Guide. Why is carbon steel so great for cookware? You don’t need to be shy with heat when you’re cooking with carbon steel pans. They can take a very high heat on the stove and in the oven. This is why carbon steel pans are a favorite for searing meats as you can get a great crust with a tender interior. Carbon steel is much lighter than other cookware materials (i.e cast iron or thick stainless steel). This is great because it means you can easily cook in an active fashion, with lots of tossing, shaking and flipping. It’s also great for transporting and storing with ease. Carbon steel can be used on all cooktops, including induction. Carbon steel responds really quickly to changing temperatures. It doesn’t take long for the pan to reach high temperatures, and the cool-down afterward is quick too. This is fantastic for efficient, fast cooking. It also means you don’t have to wait as long for the pan to cool down before you can rinse, season and store! Carbon steel not only heats up quickly, (and to very high heat), but it distributes the heat really well too. You are less likely to come across annoying hot spots when cooking with carbon steel, which makes for an even result and a smoother cooking process. Carbon steel is a popular cookware material because it is so durable and hard-wearing. You can use metal utensils with carbon steel cookware as there’s no delicate coating to scratch. Carbon steel is naturally non-stick without the need for extra coatings. In fact, the more you cook with carbon steel, the more non-stick it becomes. You’ll know this is happening when you notice the pan becoming blacker with each use. You do need to season the pan regularly and clean it very gently. If you don’t season it or you put it in the dishwasher, it’s prone to rusting and becoming very stick-friendly. Cleaning your pots and pans is a crucial step in maintaining their efficiency for years to come. When it comes to carbon steel, there are a few crucial things you must remember (hint: be very gentle and leave NO moisture behind). Here’s a quick step-by-step guide for cleaning carbon steel cookware. When your carbon steel pot or pan has cooled down after cooking, give it a good wipe down with a paper towel to remove excess oils and cooking residue. 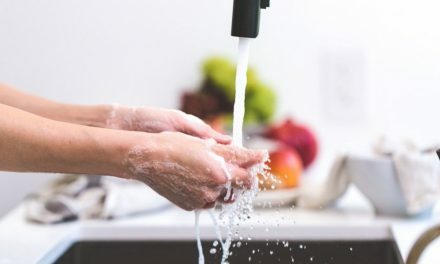 If you’ve cooked something reasonably clean and low-odor, this might be all you need to do in order to clean the pan this time. If your pot or pan is a little grubbier and needs more washing, use plain water. Don’t use detergent on carbon steel as it will break down and disrupt the seasoning. Use plain, hot water…nothing else. To remove stuck-on foods, use a soft sponge or brush. Don’t ever use steel wool or very abrasive sponges as you’ll only mess up the seasoned surface. Don’t do the old soak and scrub trick with carbon steel. Do your best to remove any mess with plain water and a soft brush, then leave it at that. Carbon steel isn’t a fan of moisture as it will rust when left wet or damp for too long. Give your carbon steel pot or pan a very thorough drying off with a tea towel and a paper towel if need be, to really catch all that moisture. Don’t leave any wetness remaining or you might find a rust patch or two. 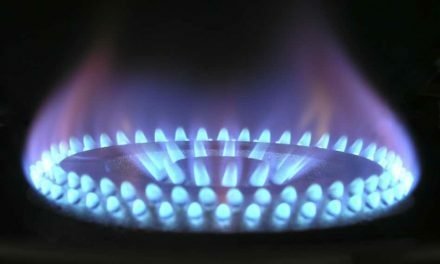 If your oven has been used recently and is still warm, pop the pot or pan into the oven to dry up any leftover moisture. Use a paper towel to rub a small amount of oil, (preferably 100% flaxseed or grapeseed oil) all over the pan. Store and you’re all done till next time. 100% pure flaxseed oil is a great oil to use when seasoning your carbon steel cookware. But why do we season it? To build up the non-stick layer and keep the pan from rusting. Flaxseed oil is the best oil to use because it has a great habit of hardening into a solid form when heated. 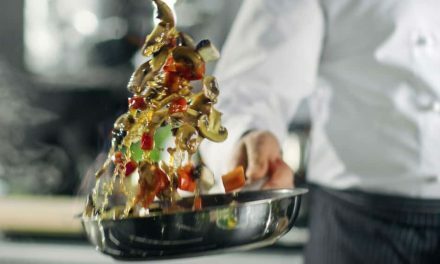 The oil sticks hard and fast to the surface of the pan, creating a very effective non-stick surface, better so than any other oil. Leave to cool, store and you’re finished! You are smart to consider a carbon steel pan for your next kitchenware purchase. It’s generally a cheaper choice than other materials such as stainless steel. In our opinion, it’s one of the very best cookware materials due to the wonderful durability and versatility. You can use carbon steel on all cooktops including induction, and it can be used in the oven too. One of the best features is that it gets better over time, provided it is maintained properly. We love that the natural non-stick surface becomes more effective the more you use the pan. This is not only convenient but it’s eco-friendly and safe too. There are no chemical-laden coatings or seals to worry about, as all you’re getting is carbon steel and that glorious black surface it develops. If you’re a fast and furious cook with a preference for metal utensils and high temperatures, carbon steel is the way to go. For a charred steak with a crispy crust…carbon steel is the one. 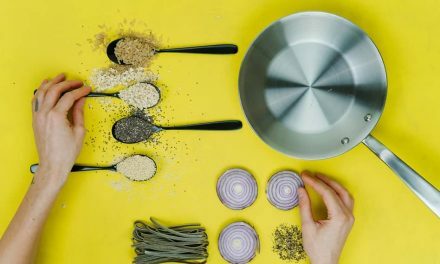 Both of the brands we have featured here (De Buyer and Matfer Bourgeat) are high-quality, French-made cookware brands with a focus on durability and user-friendliness. PreviousWhat are the Best Cookware Brands?